Before Lenin, Marxist theorists, for the most part, avoided the discussion on how a communist society should be structured. Marx’s work was primarily focused on identifying the contradictions of capitalism and explaining the inevitability of its collapse and the subsequent communist revolution. The main reason why Marx made this principled decision was that he was extremely frustrated with the Utopianism of French socialist thinkers so even though he shared their desires he agreed with the conservative dismissals of Saint Simon who was ridiculed as a person whose view was that under socialism, the Atlantic Ocean would turn into lemonade. However, Marx noticed an extremely important fact in his historical works, which is that revolutions are always midwives of history in the sense that in revolutionary times a new world is not created out of thin air; rather, the social relations which are already highly developed at that moment simply rise to the position of the dominant ones, which are in deep crisis. In that way, he explains the French Revolution as a moment in which the capitalist class, which had existed for several centuries before the revolution itself, overthrew the monarchy as the social arrangement which was in terminal decline. In that sense, it would be natural to expect from Marx to identify the social forces, formations and tendencies in capitalism that contain the elements of socialism which can be expected to overthrow the bourgeoisie in the moment of revolution. Another important Marxist thinker, Vladimir Lenin, started where Marx had left off. His work was partly motivated by the recognition that Marx had left no sketch of a communist society that could be offered as a platform for revolutionary struggle. Therefore, Marx’s anti-Utopianism proved to be self-defeating because it left no clear idea for the revolutionary party in the sense of precise goals of the struggle. Lenin’s work in this domain was, of course, later motivated by the practical needs because his part managed to gain power in Russia through a revolution. To illustrate how a communist society should look like, Lenin once stated that the socialist society should function like the German postal system. In that sense, Lenin had identified an existing structure in the capitalist society, distilled its key features and determined that the principles on which it was organized would be useful for a communist society. Here, the goal will be to describe several forms of social relations in capitalism that provide a potential answer to the question of how to regulate the social relations in socialism. Of course, the sketch that will be given here represents merely an invitation for Marxist forces to further analysis, motivated by the realization that Marxism cannot entirely abandon its utopian or programmatic character. Based on the experience so far, we are also aware that many Marxists will criticize this attempt as pure Utopianism and ultra-leftism. However, following Lenin, we must realize that without any kind of general sketch or platform, we cannot expect the support of the masses for a dash into the unknown. As revolutionaries, we owe to the working class at least some kind of description about what we want to create. It should also be mentioned that the sketch that we are about to present refers to the goals that should be achieved without any discussion of how to achieve them, which is also a crucial topic for the discussion. It is certain that some of those solutions should be prioritized over others in the period of transition to socialism, but for now, we will not address the criteria according to which such prioritization should be carried out. Those problems will be left for some other occasion. The sketch presented here is inspired by the answers to three crucial problems of capitalism which are analyzed in turns in three separate volumes of Marx’s Capital. First, is the problem of the capitalist production and exploitation of labor power (volume I). Second, the problem of capitalist distribution of the market economy (volume II). The third problem is the problem of money, banks and finance (volume III). From the perspective of the volume I of Capital and the problems of capitalist production, the key issue is the exploitation of labor power or the fact that in a capitalist enterprise, surplus value (profit) has to be created. The surplus value is produced by paying the worker less than the value that he created during in his working time. Therefore, we are dealing with exploitation. There we have the problem of alienation because workers are not owners of the products they make, they do not influence the decisions that affect their work and they are alienated from their co-workers who are mainly seen as competition for promotions and the like. In socialism, this problem has to be solved through elimination of exploitation and alienation, which means that workers have to collectively decide about the issues pertaining to their work and they have to be paid in accordance with the amount of work they complete. There are historical examples of enterprises that have functioned this way in the framework of socialist countries as well as the examples of companies that work this way in capitalist economies. The example of workers’ self-management in former socialist Yugoslavia is one of the examples that are frequently cited. It can be said, as it has been frequently pointed out in the literature, that the problem of exploitation was solved quite successfully in the former Yugoslavia. However, Yugoslavia had a major problem from the perspective of volume II of Capital, which was the problem of the restoration of the market economy which resulted in stratification among enterprises and consequent inequality among individuals and regions. In essence, it can be said that Yugoslavia had a capitalist market and a socialist organization of enterprises. There are also examples of similar, worker-managed, enterprises operating inside capitalist economies. The best-known example is Mondragon in the Basque country in Spain, which employs around 100 thousand people. Mondragon has been competing very successfully with capitalist corporations for decades and it has been growing consistently. Of course, Mondragon is not a perfect model for a socialist enterprise because inequalities in income of different workers are significant and have been growing. However, what is very useful is the principle of worker’s self-management, which ensures a lot smaller income inequalities, almost complete protection from unemployment (even when it goes against the company’s profits), guaranteed education and professional development, collective solidarity in terms of healthcare, etc. There are many more examples of such firms that compete in the capitalist markets quite successfully, and just like in the case of capitalist firms – some of them thrive and some of them fail. Next problem that needs to be solved is the problem of distribution or markets as mechanisms for the distribution of goods and services. The bulk of trade in goods and services in capitalist societies takes place in the market where those who have the money can buy practically anything while those who do not have the money are deprived from even the most basic necessities. In contrast to the liberal doctrine that the market leads to a balancing of prices, quality, supply and demand, as Marx argued, the market is a highly volatile system which constantly oscillates and periodically leads to crises. A completely free market can be thought of as a traffic system without signs and lights. Such a system is certainly good for those who drive tanks, but it is in no way desirable for those who ride bicycles. That way, markers naturally benefit the biggest and strongest companies that push the smaller firms out of the market competition, thereby forming monopolies and quasi-monopolies. Luckily, traffic systems are not organized according to market principles. Rather, detailed analyses are carried out in order to reduce the risks for all participants and ensure a relatively high level of security. Communist or socialist economies have to contain elements of planning. As the example of Yugoslavia has shown, good organization inside the enterprises does not reduce the risk of growing inequality because stronger companies grow bigger and the weaker ones collapse. The Soviet Union, in contrast to Yugoslavia, had a much stronger planning system, but it lacked the democratic organization of enterprises. In that sense, we can say that Yugoslavia had a better answer to the problems of volume I of Capital while the Soviet Union had a better solution in terms of volume II issues. However, it is necessary to resolve all the potential sources of contradictions in order to establish a stable socialist economy. Here, it is necessary to address the widespread attack on the socialist planning as an example of “inefficiency”. This critique is completely mistaken for two reasons. First, the Soviet Union accomplished the industrialization of the country and rose into the status of a global power in just several decades thereby overtaking numerous capitalist countries that took centuries to get to where they were at the time. Moreover, the sacrifices of the working class in the Soviet Union were minimal in comparison to the victims of development in capitalist countries. In the Soviet Union, from the very beginning, there was an eight-hour workday, high degree of safety at work and relatively stable wages. During the Industrial Revolution, in capitalist countries the working day lasted for fourteen hours, workers regularly died at work and wages were miserable. Also, during WWII, only the Soviet planning economy could rise to the challenge of war and subdue the fascist militarized economy. It is also worth mentioning that the British and American economies were transformed virtually overnight into planned economies because it was clear that only a system of that sort can be appropriate for the given conditions. Therefore, the idea that planning is inefficient is a complete fabrication. Economic planning exists, of course, in capitalist societies as well. The multinational corporations, whose wealth and yearly output are often bigger than the total wealth and output of many countries, are organized as planned economies. For example, individual segments of Mercedes Benz do not trade among themselves on a market. They rater distribute parts and products among themselves according to a plan. If Mercedes Benz operated according to market principles, it would constantly face a surplus of small and simple parts and a shortage of electronic equipment, engines and the like. Therefore, the organization of corporations, as the central economic institutions in capitalism, shows that planning is far more efficient than markets but this glaring fact is almost never mentioned for obvious reasons. It is important to add that large corporations, in addition to planning internal distribution, also make plans about the demand. That is, since they are unable to exert complete control over the market (as much as they would like to) but they know that planning is necessary and they cannot always work in full capacity because they would be unable to sell all their products, corporations use complicated statistical methods of predicting demand. In those tasks, based on the data about the demand in previous years and quarters they make complicated and often imprecise planning about future demand and the production is then adjusted to those estimates. The imprecision in those estimates comes of course form the unpredictable changes in the market. Using techniques of planning developed by capitalist corporations and enriched with rich data which could be added to such calculations if there were no market oscillations, a socialist economy could make incredibly precise predictions about the social needs in the coming years. This would be a powerful way of harmonizing supply and demand. The modern information technologies which were not available in the Soviet Union could help enormously in those projects. Therefore, even today, we have systems of planning and planning technologies that could be used to optimize and arrange socialist economies. Finally, the caricatures of socialism presented by right wingers about the obsessive planning in socialism that would require predictions about the exact number of paint jobs on cars or small repairs in households are completely misplaced. There is no reason to think that socialism would require a complete eradication of small businesses that perform these kinds of jobs particularly when they do not involve employer-employee relationships (i.e. self-employment or family businesses) because as Lenin said, a million small businesses count for nothing, a few giant cartels count for everything. The third and perhaps the most complex problem is the problem of creation and distribution of money. This problem has been shown to be one of the most difficult tasks for both capitalist and socialist economies. Traditionally, capitalist economies have relied on the assumption that gold has a certain real and stable value so for a long time all the money in circulation had to have its equivalent in gold. The problem was that the capitalist production and value creation are much faster than the expansion in the amount of gold available so the prices of goods and wages declined constantly when countries held on to the gold standard. This process is known as deflation. On the other hand, when this system faced a crisis, countries would begin to print money that would have no equivalent in gold and the prices of goods and wages would rise, which is known as inflation. Therefore, the oscillations in the market were reflected in the oscillations in the value of money and vice versa. In socialism, the problem was similar because countries like Yugoslavia had a market economy but no gold standard which meant a constant tendency towards inflation. 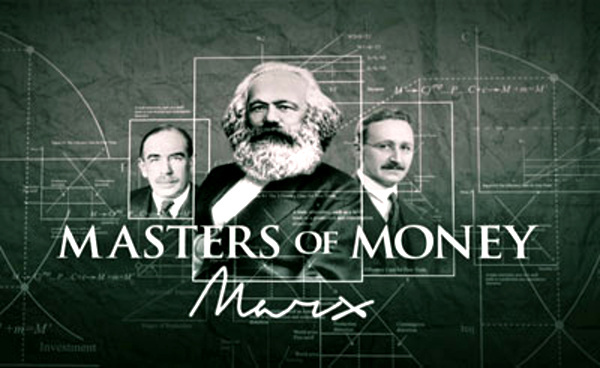 In the Soviet Union, the supply of money was also planned and the problem in the planning of production and distribution meant that the process of planning in the domain of money creation failed as well. Today’s capitalist superpowers have abandoned the gold standard a long time ago and now money is created as the central banks hand out loans to commercial banks each time a commercial bank finds an individual prepared to incur debt. Therefore, money is created through indebtedness. This system is efficient to the extent that it guarantees that individuals would be forced to give their best to repay the loans so a certain degree of stability in the value of money is assured. On the other hand, the money needed to repay the accumulated interest is never printed which automatically means that a large number of people cannot in principle pay back their loans. This of course leads to foreclosures and crises in the banking system. It is interesting to note that regardless of who carries the loan the money always has the same value so a loan of $10 000 creates the same amount of money regardless of whether it was taken by a doctor or a worker at McDonalds. This abandonment of the gold standard and the idea of money creation in response to people’s needs as well as “equality in debt” can find certain applications in the communist economy. It is necessary to replace debt as the guarantee for the value of money with the real basis of value which is human labor. Namely, Marx was a proponent of the labor theory of value according to which value is created through human labor. The fact that different kinds of labor are paid differently because of the market mechanisms of supply and demand, made the stability in the value of money under capitalism impossible. The lesson that we can draw from modern banks is that money can be created not on the basis of debt taken on by an individual but on the basis of labor that an individual has invested. In other words, in socialism, money supply would have to be enlarged each time wages are paid by the amount of new value that they have created through labor. That way, money supply would increase in proportion to the newly created value and the contradiction of capitalism tied to the instability of the money supply would be overcome. This kind of system could not lead to either deflation or inflation by definition as the value of money would always match the value of goods in the market. Here, we have sketched only the basic structural mechanism which would have to exist in a socialist economy in order to ensure the stability and safety of the entire society. It should be noted that none of the items mentioned here is utopian because each of them is already employed in some fashion in the modern capitalist society. What should be done in socialism would be to arrange the existing components in such a way as to create a completely transformed society that would be far superior to the existing one. This rough sketch should certainly be developed in far greater detail but it can definitely represent a blueprint for a program of communist organization focused not just on the critique of capitalism but on the real transformation of society as well.